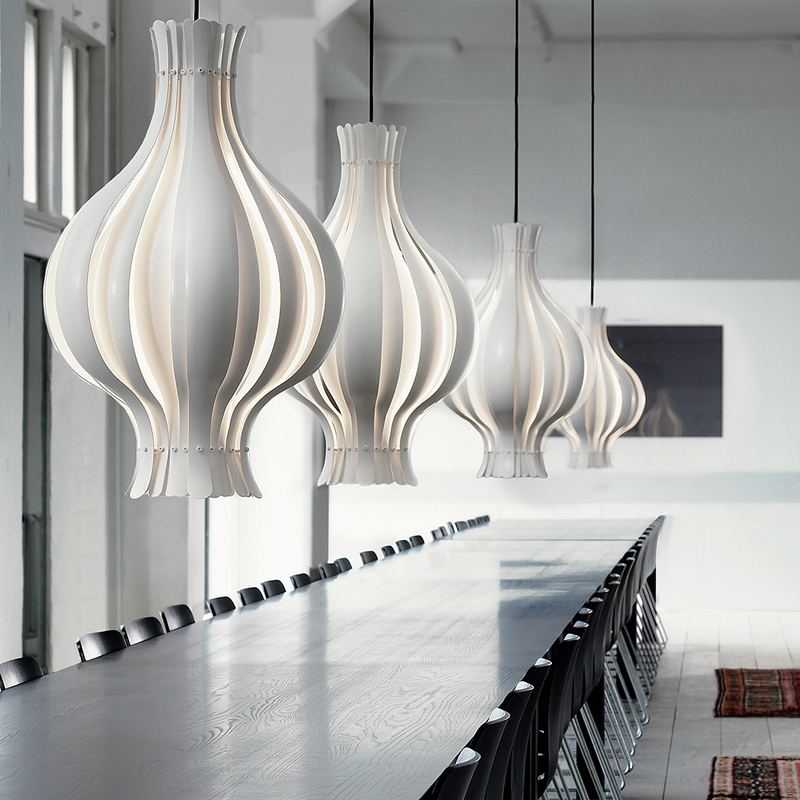 The vertical lamellas evoke the shape of an onion and give a confortable light. 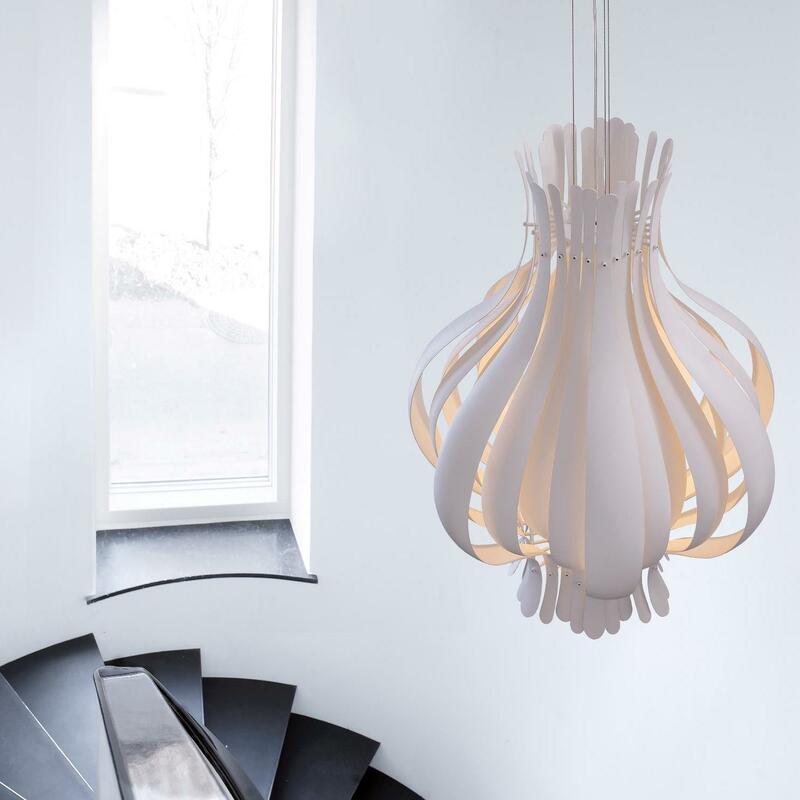 The pendant version is available in two sizes and two finishes: white and silver. Diameter 45cm and height 60cm. Diameter 65cm and height 90cm. The table lamp version is available in white, with a diameter of 45cm and a height of 80cm. Tube engraved with the signature of Verner Panton. Dimensions small pendant: Ø45 x H69cm. 4m cord – large pendant: Ø65 x H90cm. 4m cord – table lamp: Ø45 x H80cm. 2.2m cord. Finitions small pendant: white metal + white fabric cord, silver metal + black fabric cord. – large pendant: white metal + transparent cord + 3 wires – table lamp: white metal + transparent cord with on/off switch. Canopy included. Matching the lamp colour.